Your Christmas greetings should have a touch of personality, and this card design takes a trendy approach for an outstanding effect. 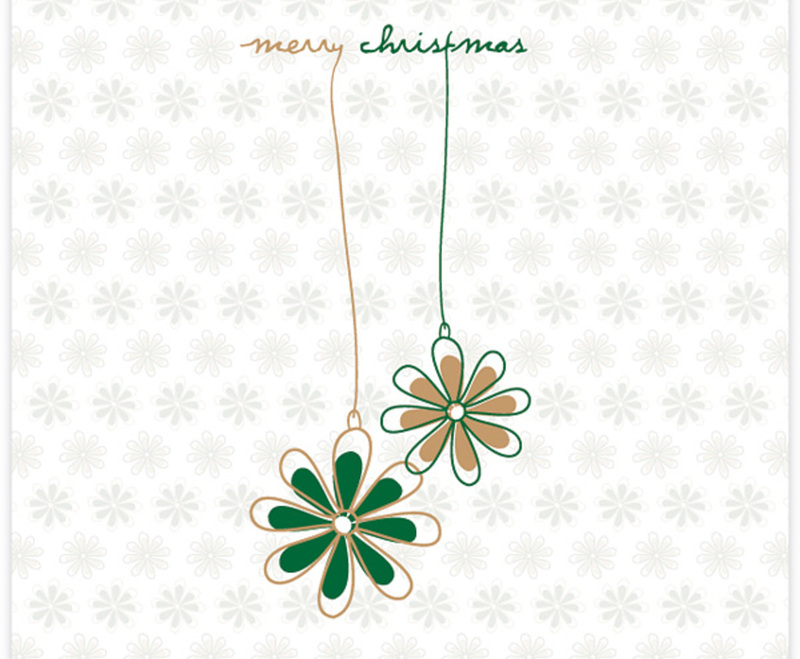 The graphic features two cartoon-like ornaments hanging from the words “Merry Christmas” in a white setting. Snowflakes alternate through the background, subtly referencing the design of each ornament. The green-and-gold color scheme adds a festive element, which is reinforced by the cozy cursive of the text. The lowercase font keeps the image casual and fun. It's a contemporary design with a unique hand-drawn aesthetic, and it's an ideal way to send a creative greeting.